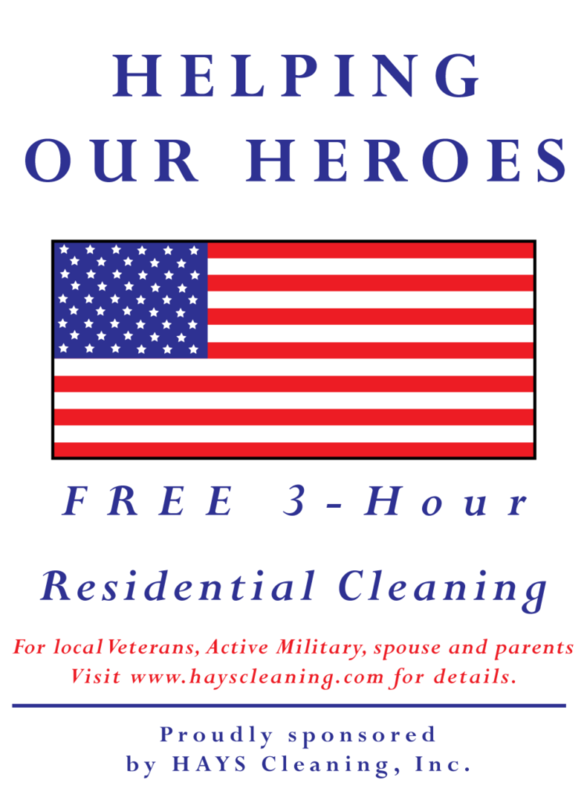 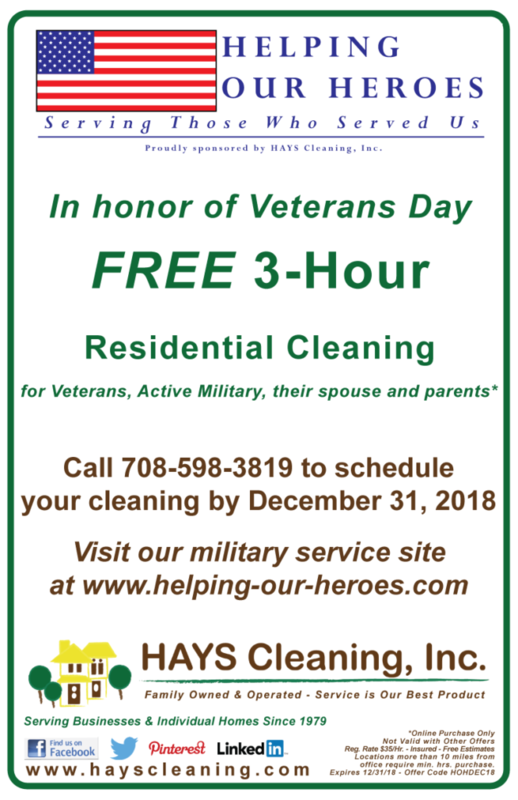 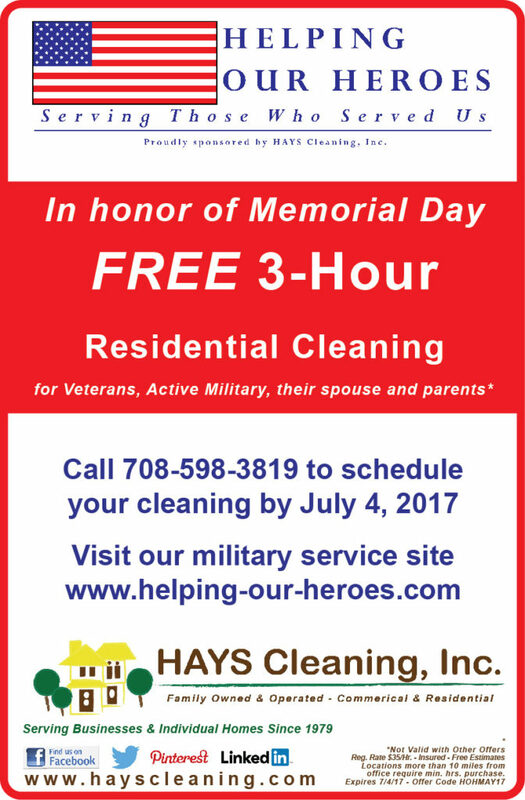 HAYS Cleaning is offering the Helping Our Heroes promotion to serve those who have served us. 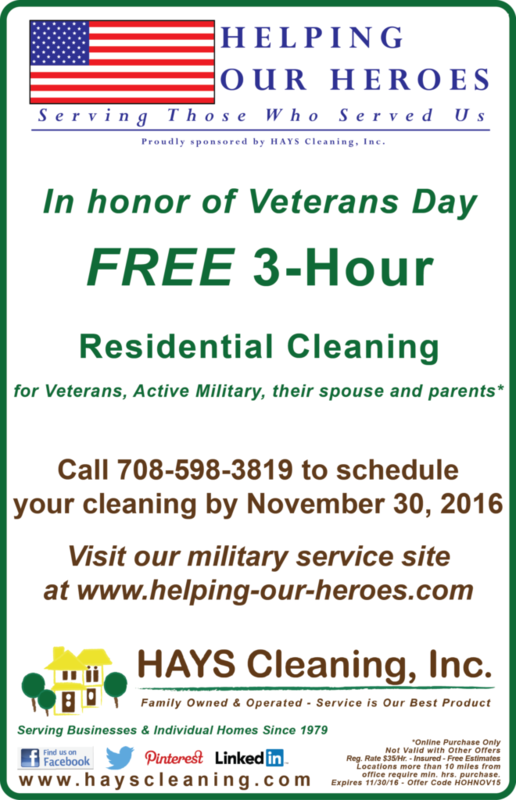 Until November 30, 2016, HAYS Cleaning will gift 3 free hours of residential cleaning to local veterans, active military, spouses, and their parents. 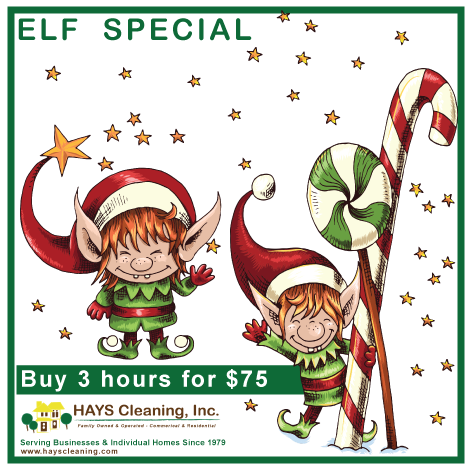 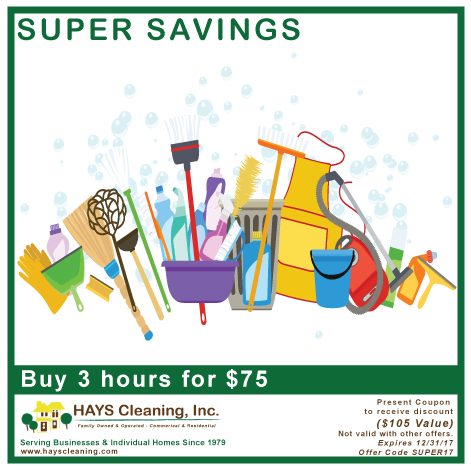 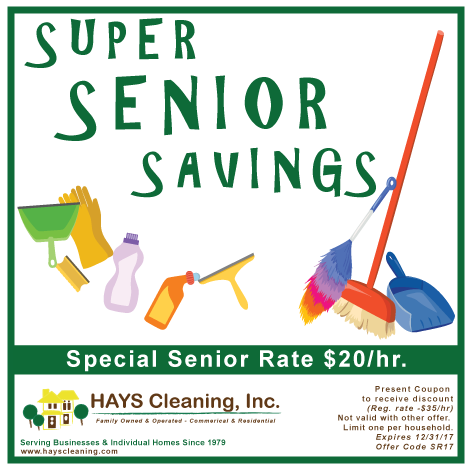 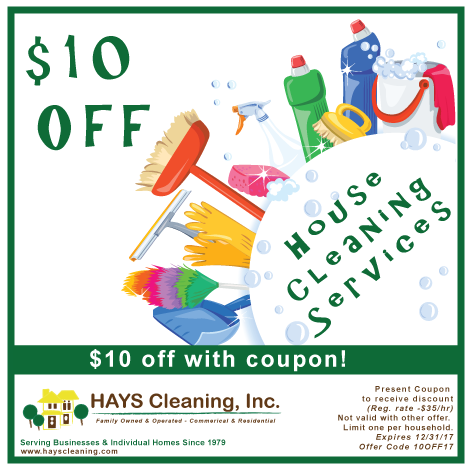 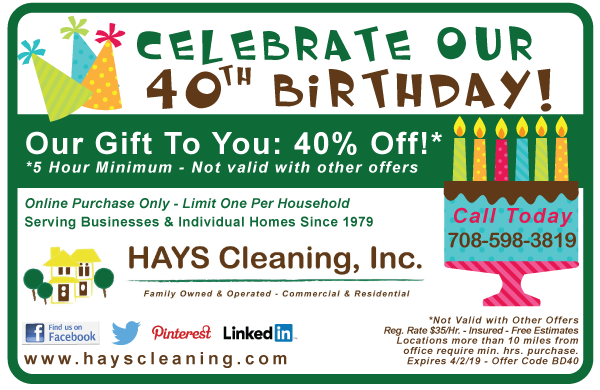 Call 708-598-3819 or email mary@hayscleaning.com to schedule your appointment for services.